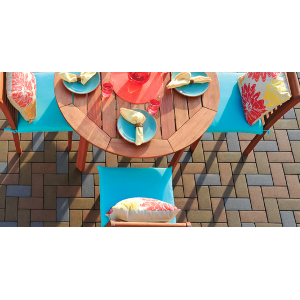 AZEK® Pavers are made from a high performance composite material with a natural appearance and added strength to resist stains and scratches. Backed with the promise of high-quality that comes with the AZEK name. AZEK Pavers, with composition of up to 95% recycled material, use a patented grid system that reduces installation time by one–third and takes the frustration out of manually setting and aligning heavy concrete pavers.